In light of news that actor Kian Lawley was caught on video making racist statements, he was subsequently fired from an upcoming movie called (ironically titled) The Hate U Give, for which he has already shot many scenes, if not all of them. 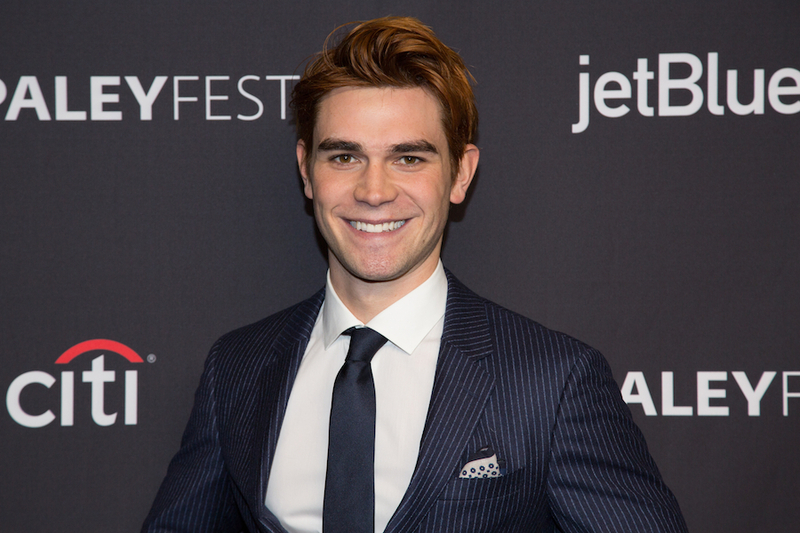 Enter “Riverdale” star K.J. Apa to take over the role from Lawley in a move that is reminiscent of the Christopher Plummer last-minute reshoots of All the Money in the World where he was hired to replace disgraced actor Kevin Spacey. What makes Lawley’s comments even worse is that the film Hate U Give has race relations at its core. Apa will take over Lawley’s role as the main character’s (played by Amandla Stenberg) boyfriend in a story that follows an interracial couple experiencing stark contrasts in their lives and upbringing after Stenberg witnesses her childhood best friend murdered by a police officer. Apa will counter Stenberg’s poor African-American character with his rich, white, prep school boyfriend character. While it seems like a good idea for the production to get Apa as s replacement, it will not be an easy shoot. Word is, there are plenty of big crowd scenes featuring main and supporting cast, which means they will need to hire back many other actors to be sure they get rid of Lawley from as many frames as possible, thus making this reshoot actually tougher than All the Money in the World had. The saving grace, however, is that, unlike All the Money in the World, this film doesn’t have a tight deadline, as no release date has yet been announced.